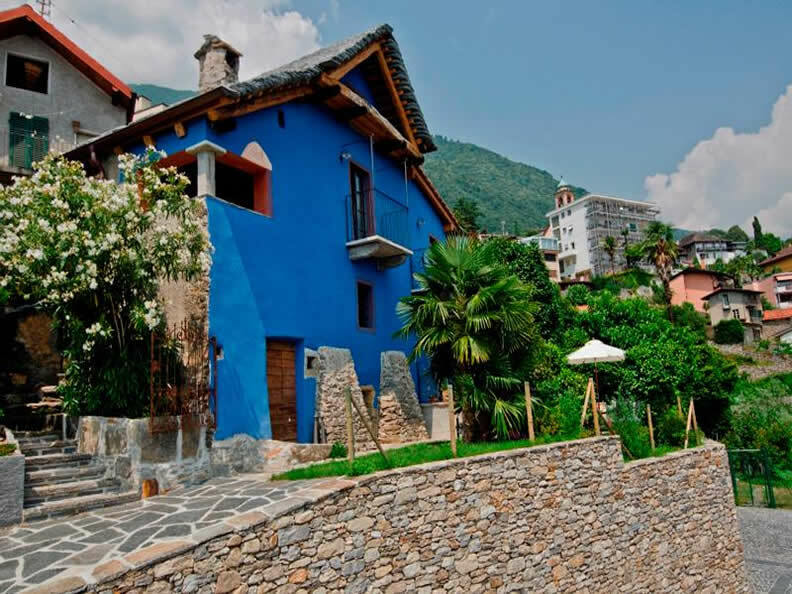 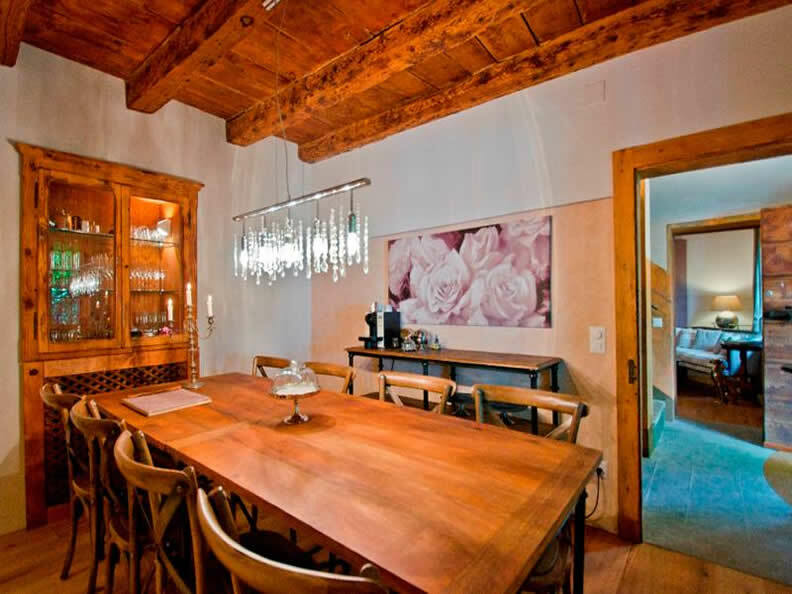 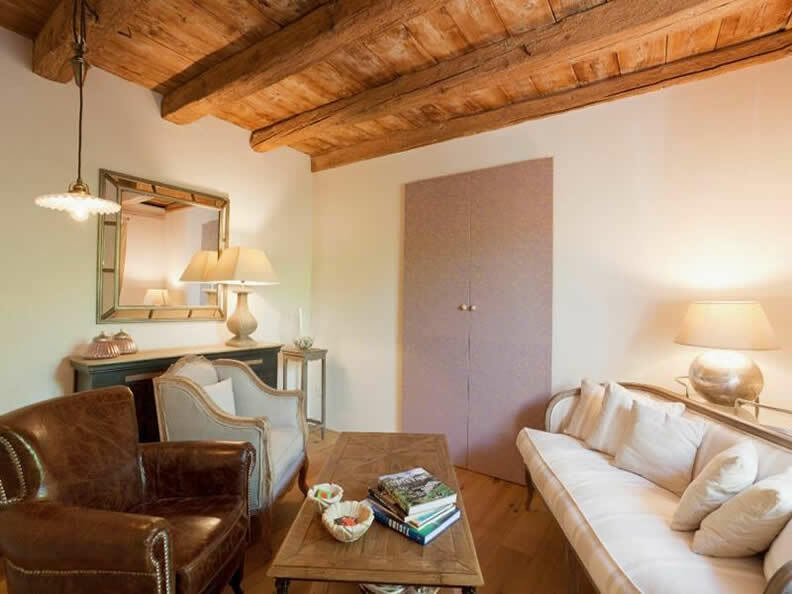 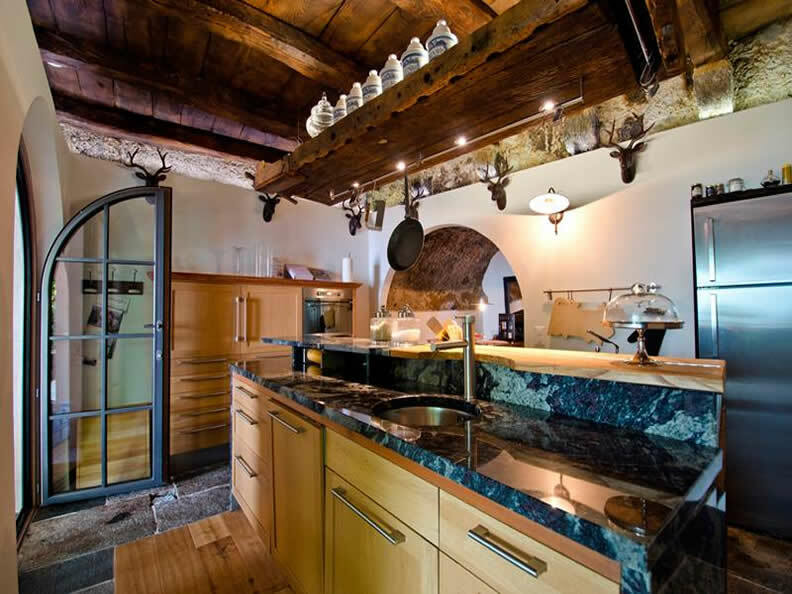 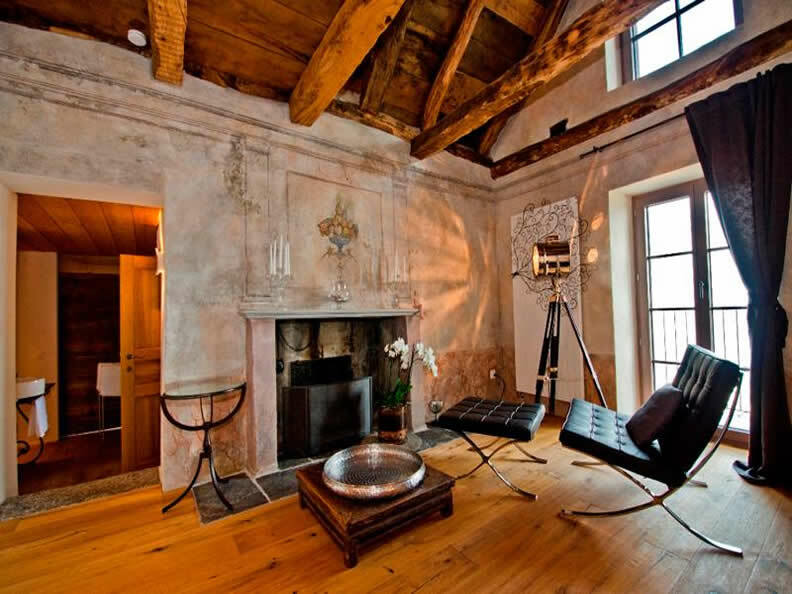 Case di Sotto, Home & Breakfast, present two typical traditional Tessin houses which have been meticulously renovated with upmost faith to the traditional local style. 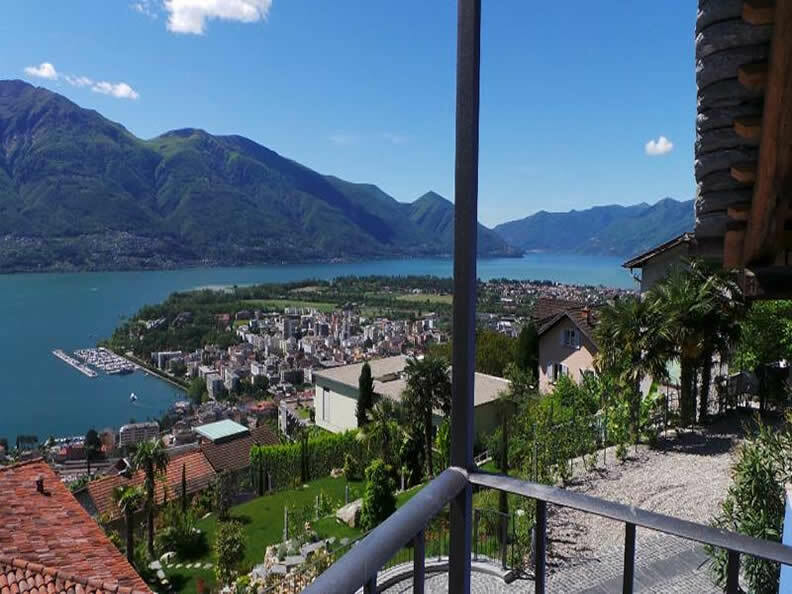 The property is located in a breathtaking position above Locarno-Ascona and overlooking the legendary Lake Maggiore. 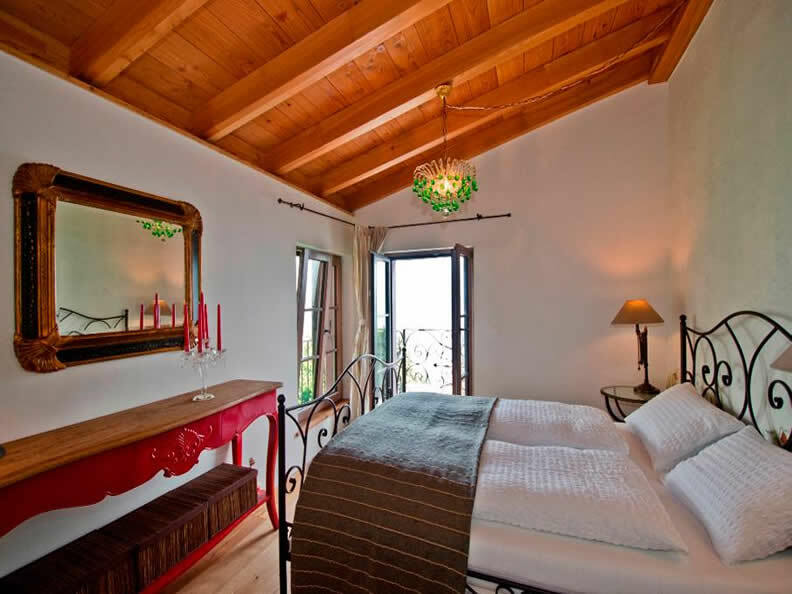 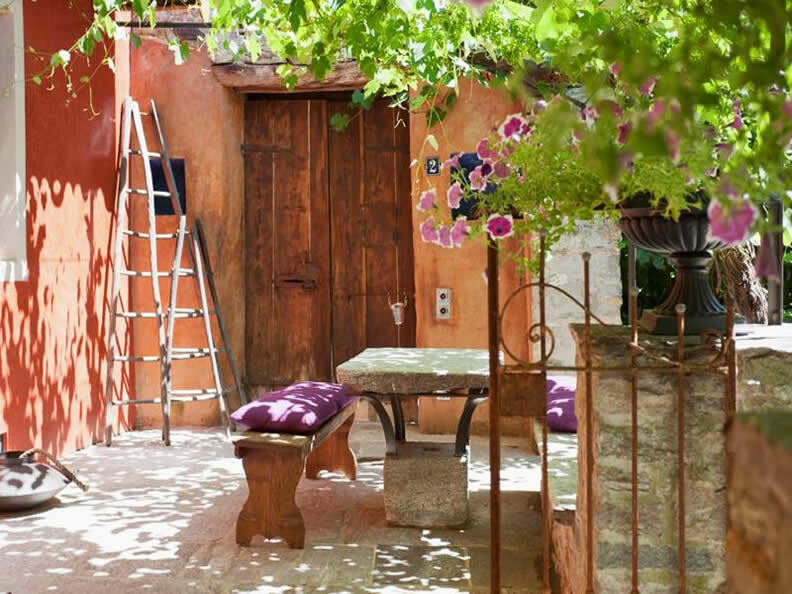 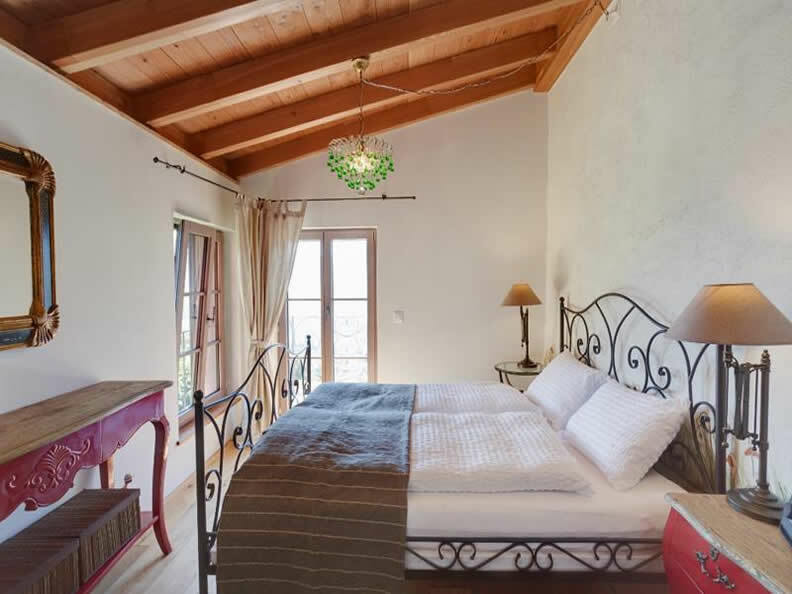 The Casa Blu (or "blue house") comprises a bedroom (with a shower and WC), a living room, a little kitchen, balconies and a small covered panoramic terrace. 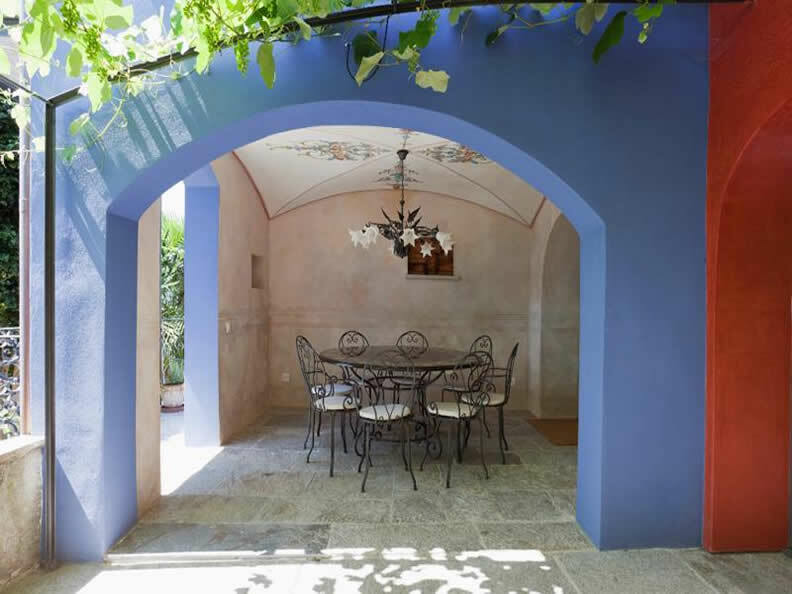 Different seating areas nestled amid the lush verdant garden, offer supreme peace and serenity.